An aerial view, which your might find a nearby look alike like Khurpatal from top near Nainital, the Aritar lake is set amidst lush green forest with vivid flora and fauna. A lake quite different from all others and unique due to its eco surroundings makes Aritar an extra ordinarily beautiful natural beauty in the eastern part of Sikkim. Isolated from the rest of the state, bounded by Mt. Kanchendzonga, apart from the rich forest reserve, the region is also characterized by mountains and rivers. The “boot- shaped” Aritar or Lampokhri Lake (Ghati-Tso) is a nearby attraction, which is also the oldest lake in Sikkim, as are traditional villages and monasteries such as Lingsay. Aritar lies under Rongli sub division. A mere 3 and half hours drive from Gangtok, 1 and half hours from Lava and 2 hours drive from Rongpo will take you to this unique tourist destination with mighty Kanchendhonga staring at you throughout. The lake was renovated by the government to facilitate the first paddle boating in Sikkim. From Mankhim hilltop, the Lake looks just spectacular, an early morning view of the Aritar Lake will be a memory to cherish for years. You can take a trek of around 6-7 hours to reach Rachela, a route famous for its Rhododendron density, from Aritar or can opt for a small hike to Phusrey Lake. A short trek will take you to Mankhim Dara, where a temple exists which is dedicated to the ethnic Rai community. Mankhim offers a 360 degree view of the surrounding areas. The Aritar Gumpa is one of the oldest monasteries in Sikkim belonging to the Karma Kagyu lineage order of Tibetan Buddhism. The region offers the most spectacular views of the Himalaya including Mount Kanchendzonga, Mount Makalu, Mount Pandim, Mount Sinoulchu, etc. Rhenock is a small picturesque settlement on the Valley just 6 kilometers from the lake. Aritar lies in the famous old Silk Route and therefore many known historical places can be covered during your tour to Aritar like Aritar, Zuluk, Jelep La Pass, Baba Dham, Nathang Valley, Baba Mandir, Kupup Lake, etc. One can stay a night at Aritar or Reshi during his tour to the silk route and then spend the next night at Aritar. Reshi is an Idle place and only 10 Kilometers from Aritar and 6 kilometers from Rhenock. Honeymoon couple can stay at Rhenock in isolation or in Aritar. Rongli, Lingtam, Rorathang are few settlement with home stay facility. Lingsay monastery and Rhenock monastery are amongst many places that can be visited here. Places of interest in Aritar Dak Bunglow - Popularly known as Ari - Banglow, Aritar Gumpa, Mankhim Dara, Nirmal Dham, Ever green Nursery & Ram Gauri Sangrhalaya, Changey water fall, etc. Trekking to Lungchok valley i.e. to Lokdara & Chujachen can also be undertaken from Aritar. Aritar hosts the Lampokhari Tourism Festival is during end of March and early April. An ideal place for Bird lovers, The route from Lava to Aritar will offer you many a Low Himalayan Species along with migratory birds to see. Loved by the ornithologists, the route is often explored by Bird lovers during November to May. The nearest airport of Aritar is located at Bagdogra, from where you can hire car and drive for 4-5 hours to reach Aritar. The closest railway station of the location is at New Jalpaiguri, which is well facilitated by trains from all parts of the country. You can also hire vehicles from Siliguri and reach Aritar in 5 hours. Many tourists also hire vehicles and make tour to Aritar from Gangtok in roughly 3 hours. 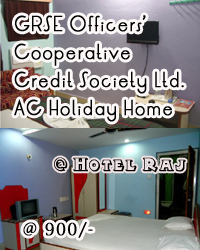 Hotel Aditya is situated at the heart of Aritar Town. A homely comfort can be felt at this Hotel as the hotel offers home made food and the hospitality makes one feel very much at home. The arrangements are standard, the rooms are clean and well maintained. The attached bathrooms are with geyser facilities. All rooms with attached bath and toilet with geysers.